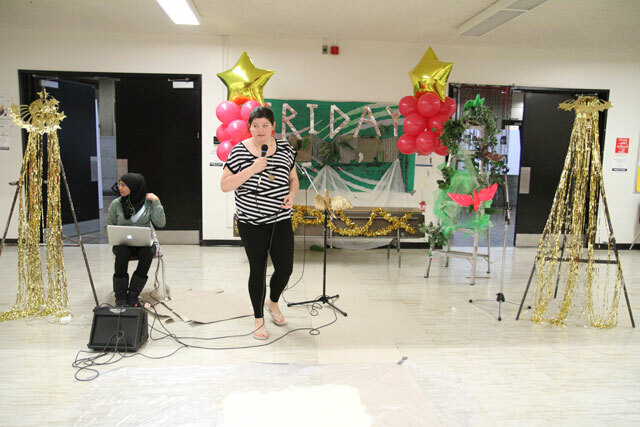 Friday was a performance facilitated by Toronto artist Sarah Febbraro in collaboration with grade 10, 11, and 12 students at “Friday Secondary”. 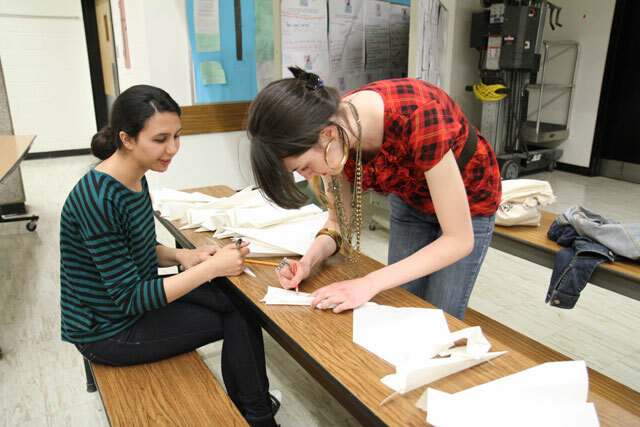 On the first day of this project, Sarah asked students “What pop culture are you currently obsessed with?” The answers were broad and included K-Pop (Korean Pop Music), Harry Potter, Taylor Swift, Cake Decorating, Kanye West, Flash Mobs, John Meyer, and Paper Airplanes with Instructions. 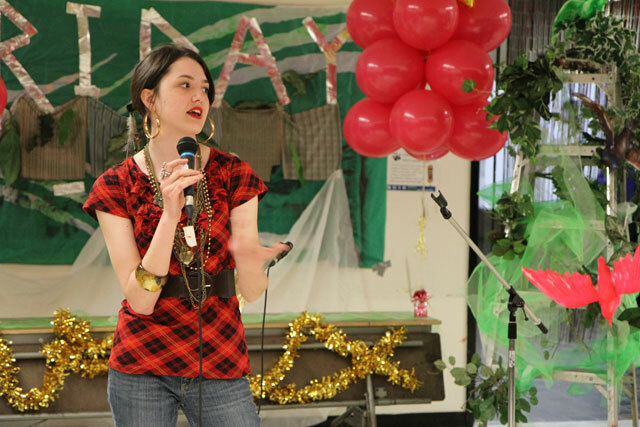 These obsessions became the basis for Friday, a marriage of Febbraro’s talk-show aesthetic and the well-known tradition of high school talent shows. 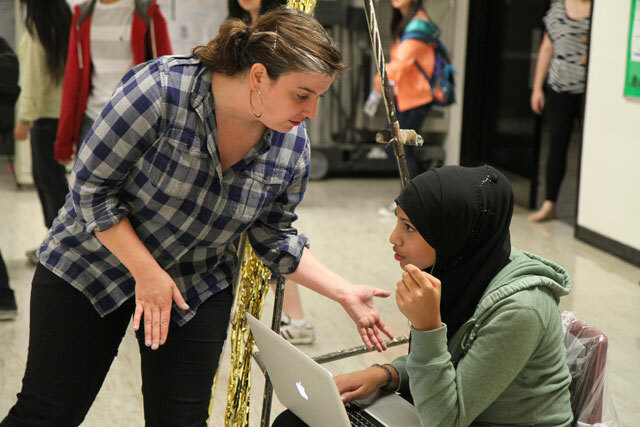 Central to Friday was the desire to re-appropriate talent shows and high school extra-curriculars and create a performance that would take place in an unexpected school space. 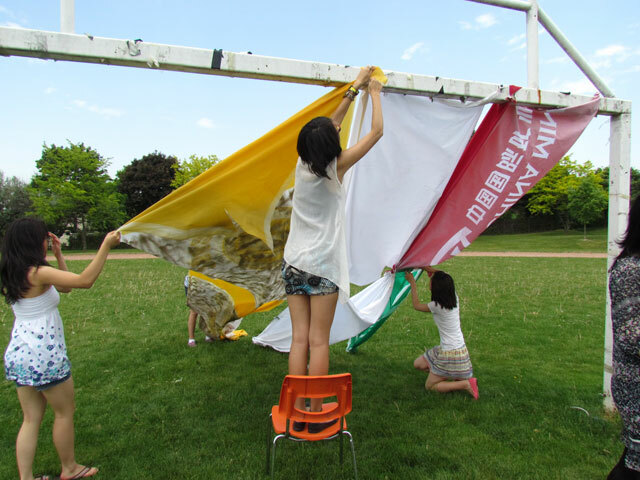 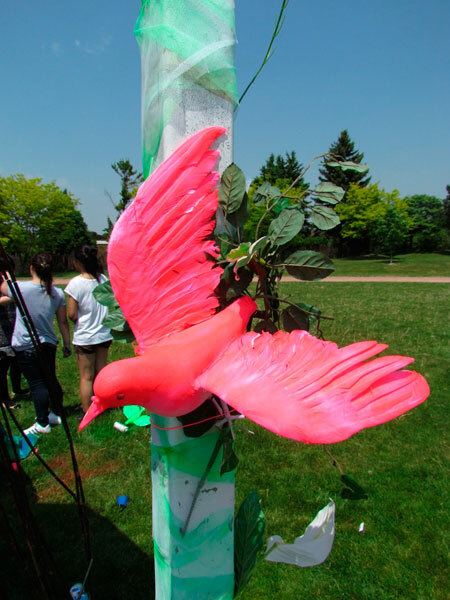 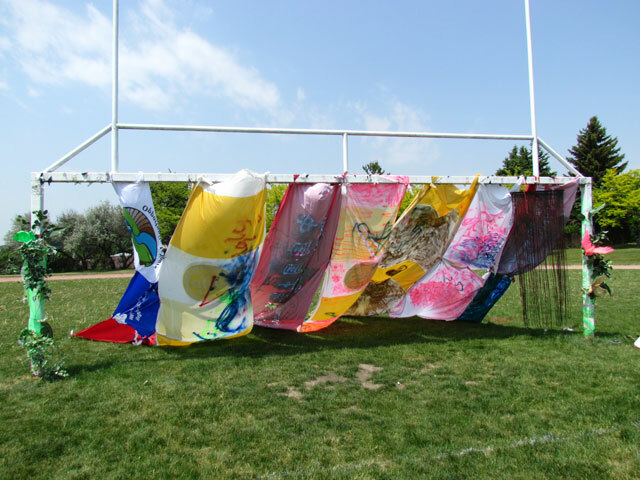 Originally the performance was to take place on the high school field, for which the students made an up-cycled, kitsch-fabulous, installation/stage with a practice installment a week before the final performance. 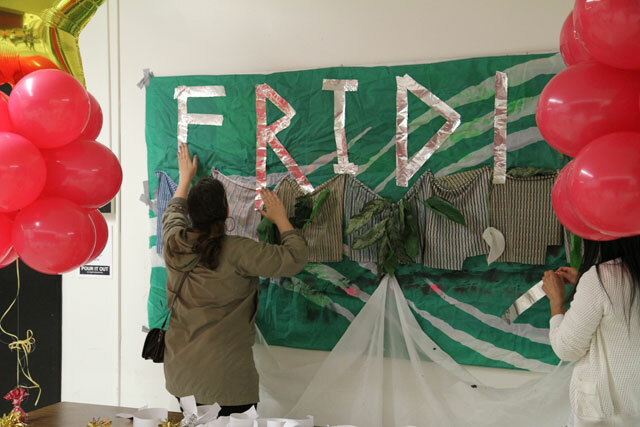 Unfortunately the last contributor to the project was a thunder storm, and the final show took place in the cafeteria opposite the stage, where the students cheered, judged, questioned, and participated in Friday. 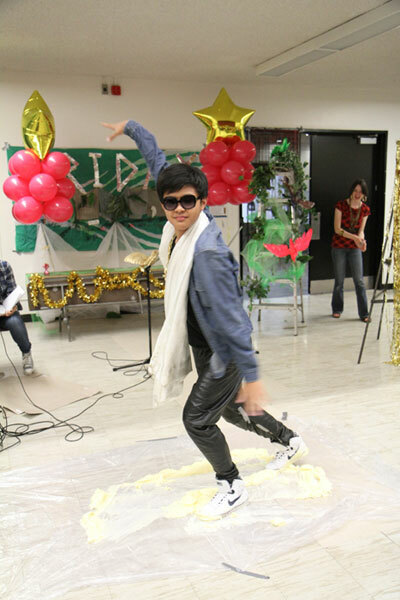 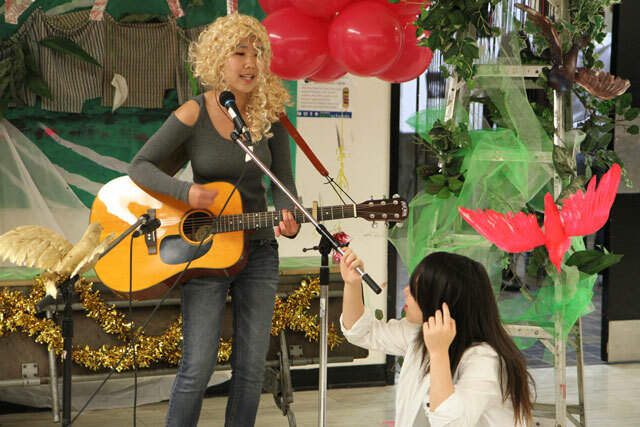 Performances included covers of John Meyer, Taylor Swift, and R. Kelly, as well as a flash mob dance to MJ’s Thriller. 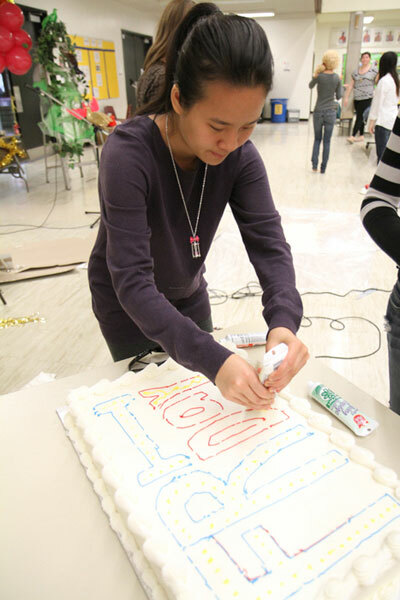 After “Kanye Wong” showed up to share his new love of dancing on butter, the show was cut short and Friday’s audience rushed to decorate and eat cake – all part of the performance. 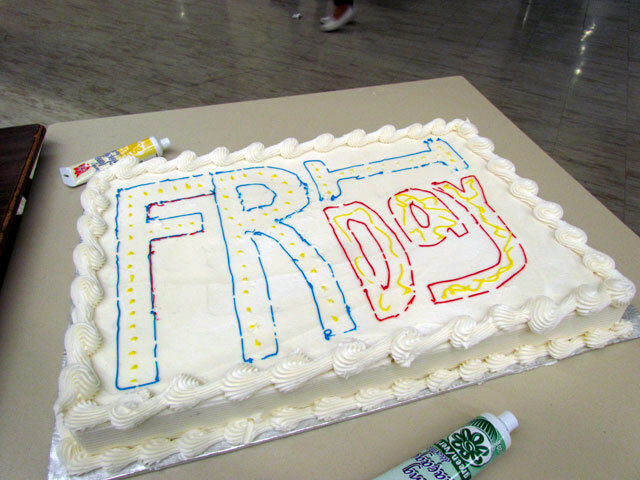 Friday’s pedagogical interventions included a lesson on how to clean large amounts of danced-upon-butter off of a cafeteria floor.